Linking my 'Jars of Lighting Bugs' this week! Thanks for hosting! My husband ran the Mercedes Half-Marathon for the first time last week, and he guest blogged his experiences. 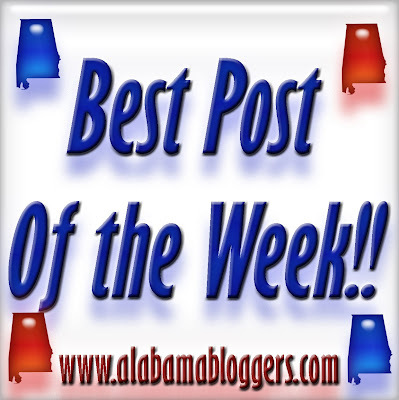 We also have two giveaways right now here at Alabama Bloggers - for Disney Live and Freestyle Motocross! Be sure to enter if you'd like to attend. 7. Wade on Birmingham - Two videos that illustrate my diverse views on modern love. 8. Birmingham Blogging Academy - I stole a stranger's iPhone to save her life. Just found this site..was looking for other blogging platforms in my niche. Looking forward to reading! My post is on something God t aught me this week..